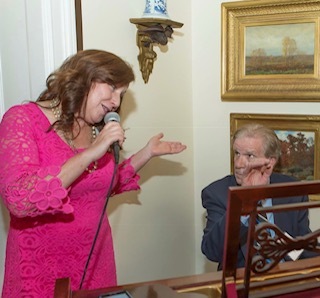 The Marlborough Arts Center’s “4th Friday @ the Arts Cafe” for February will be “An Evening of Love Songs in Tribute to Michel Legrand” as performed by Steve Donovan and Barbara Lewis on Friday, February 22 at the Arts Center, 231 North Main Street, Marlborough, at 7:30 p.m. Romance is appropriate as a theme so soon after Valentine’s Day this month and how better than with the music of the international award winning composer Michel Legrand who wrote such beautiful love music including The Windmills of Your Mind, for which he won the first of his three Oscars. Steve Donovan and Barbara Lewis are returning artists with fans from around the region. 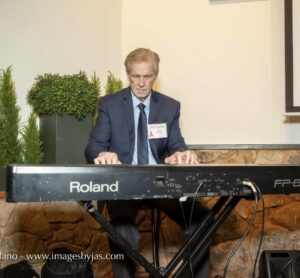 Originally from Connecticut, Steve is a classically trained pianist and Berklee graduate who specializes in standards, classic jazz and pop. 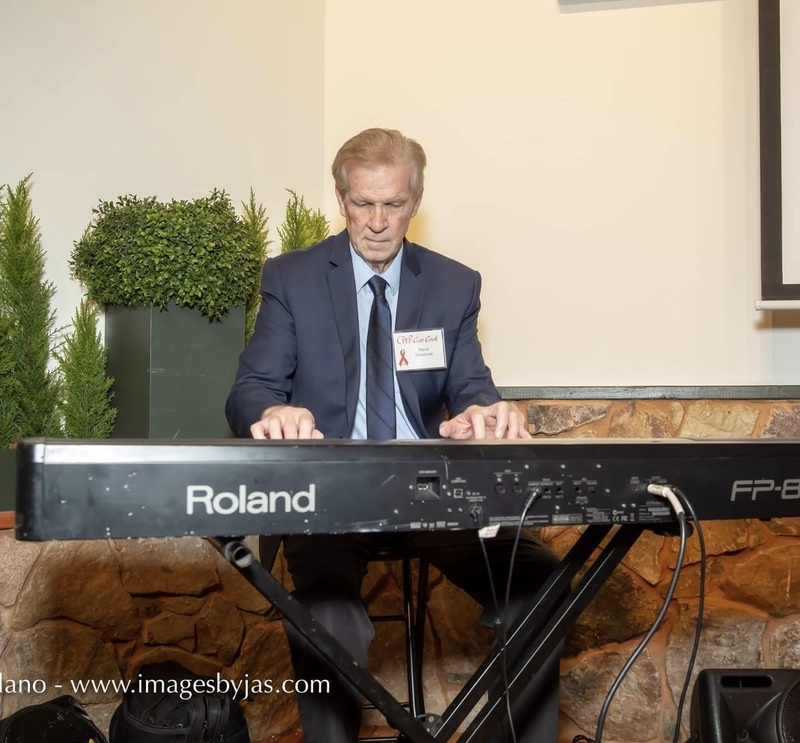 He has played top venues in New York and Los Angeles and, now living in Middletown, is widely known in Connecticut. Both as a soloist and with friends he has given definition to the term listening music for celebrations in hotels such as the New York Hilton, Hotel Pierre, Helmsley Palace, Beverly Hills Hotel, Ritz Carlton, and restaurants including Spago and the Old Lyme Inn. While living in California he was fortunate to work with many artists including famed guitarist Eric Gale, Jamie Glazer, Kilauea, Bernard “Pretty” Purdie, Brandon Fields, Chuck Berry, Greg Vail “E-Motion” and many others. His TV credits include “The Tracy Ullman Show”, “Falcon Crest”, Drew Barrymore’s “Doppleganger”, “Hotel” and independent films and commercials. Barbara graduated from the University of Miami with a degree in Studio Music and Jazz. She was a featured soloist with the L.A. Jazz Choir on the Grammy-nominated recording “From All Sides”, and was a finalist in the Sarah Vaughn Jazz Vocal Competition, winning a “Downbeat Magazine” Jazz Vocal Soloist Award. She has toured Europe and the USA as a backing vocalist for Al Martino and as a member of the Ray Conniff Singers. She is a member of ASCAP and composed children’s music and performed vocals on “Raggs”, an Emmy-award nominated PBS series. 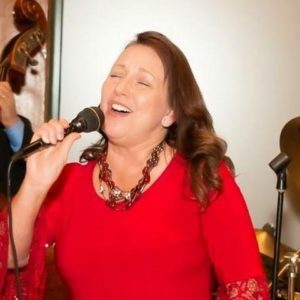 Beyond being a vocalist, Barbara is a jingle singer and voiceover talent who can be heard on national and international radio and television spots. Barbara is originally from Mobile, Alabama and was born into a family full of musicians and music educators. 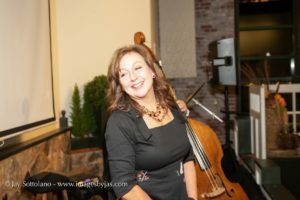 She has taught at the Hartt School of Music and presently teaches in the Bloomfield Public Schools. When she is not teaching music, she enjoys coaching young musicians in following their dreams. Her lush voice will add another dimension to this evening romantic music. Both of these musicians offer what promises to be a delightful evening of instrumental and vocal classics in the intimate setting of the beautiful Charles W. Hall Art Gallery in Marlborough where the acoustics are great and the interaction between musician and audience is very special. Admission at the door is $10/person. BYOWine. Other refreshments are available. Although the concert begins at 7:30 p.m., the doors open at 7:00 so come early, get refreshments, peruse the art on exhibition, and settle in for an evening of great music you will recognize and enjoy. The Marlborough Arts Center is a non-profit regional center for the fine arts, performing arts, and fine crafts. It is housed in an historic building that is fully accessible and has ample parking. Details about exhibitions, classes and artistic events are on their website www.marlborougharts.org. They are on Facebook.com/Marlborough Arts Center. You may also leave a message at (860) 295-9389 and a Board Member will return your call.